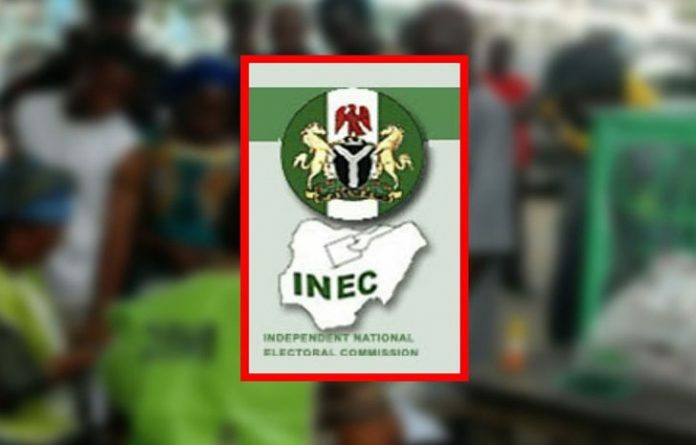 ABUJA – The All Progressives Congress (APC) in Cross Rivers State has announced a rejection of the recently concluded governorship and state Assembly elections in Cross Rivers State, citing widespread irregularities. The party emphasized that there was no election in the state but a charade masterminded by the Independent National Electoral Commission (INEC) and executed by the ruling party in the state, security forces and thugs allegedly loyal to the governor of the state, Prof. Ben Ayade. Addressing journalists Monday in Abuja on its position, Ntufam Hillard Eta, APC National Vice Chairman (South-South) said, “The contest was, at its best, a sham that cannot stand the test of time. “It was not just between the All Progressives Congress (APC) candidates on one hand and the candidates of other parties that participated in the exercise on the other hand, but between the APC candidates on one hand and the ruling party in the state, the Peoples Democratic Party (PDP), the INEC, the Security forces and Gov Ben Ayade’s organized thugs on the other”. Speaking further, he also noted that the factional leadership of the party under the leadership of Etim John submitted a list of party agents to INEC instead of the authentic party exco led by Sir John Ochala. “These anti-party agents (Etim John and co) colluded with PDP to subvert the will of the people,” he said. Eta observed that the chances of the APC candidates in the two elections was further compromised when Frankland Briyai, Resident Electoral Commissioner (REC) in the state on the eve of the election unilaterally announced that APC has no candidates in the polls, a situation he said demoralised supporters of the party. He claimed that the REC made the declaration despite subsisting Appeal Court ruling staying the execution of the decision of a lower court. According to him, APC lost not to Ayade but to INEC, adding that democracy was under attack in Cross River state during the concluded governorship and state Assembly elections. He vowed that the party was ready to follow laid down processes to seek cancellation of the election and retrieve the stolen mandate of people of the state. “INEC indeed did the bidding of Gov. Ben Ayade. “For instance, at the just concluded Governorship/State Assembly Elections, about (12) twelve out of the eighteen (18) Local Government Returning Officers were from Obudu, the home and Local Government Area of Governor Ben Ayade. This is aside from the fact that all the Returning Officers were card-carrying members of the PDP. Party agents who complained about this were rebuffed and this accounted for why the state Collation agent of the party walked out of the collation Centre. “At first, INEC Headquarters delayed taking the decision about getting our candidates’ names back on the candidates’ list and even when it finally did, the decision only got communicated to Calabar in the afternoon on the Election Day. The State INEC REC called our governorship candidate Sen. John Owan Enoh at about 12.30pm on Saturday, the Election Day to ‘congratulate’ him that he had just received the list containing his name. “The implication of the above was huge. Majority of voters who even turned out to vote were unsure of his candidacy. Several lost interests. Party Agents were sent home on the false premise that Sen. Owan Enoh was not on the ballot. The election which was meant to be by cards readers was massively manipulated as INEC resorted to the use of discretion to exploit the law in favour of the PDP. Only votes from supposed APC strongholds were subjected to card readers; otherwise, why would votes from Obudu, amongst other Local Government Areas ever be allowed to stand? “Besides the avalanche of impunity wrought on the exercise by the security forces made up of the police, the army, among others, the whole exercise was characterized by massive thumb-printing which began on Friday, March 8 in the Governor’s Office/House in Calabar. On Election Day, our leaders were roundly quarantined in their respective homes. For instance, the House of Representatives-elect for Abi/Yakurr Federal Constituency Dr. Alex Egbona had his house searched by soldiers mobilized by Ayade. “The running mate to our Governorship candidate Ntufam Ekpo Okon had his car searched and detained with him while our Director of Campaign Organization, Sir Maurice Effiwat had to storm out of the collation Centre in protest against manipulation of figures by the PDP-prone INEC. “Sen. Prince Bassey Otu, the Cross River South Senatorial Candidate was quarantined too just as the State Secretary of the party, Bishop Victor Ebong was sufficiently harassed by Security operatives. There was massive rigging, thump-printing, intimidation of voters, vote buying, with the aid of INEC and security agents. Many of our supporters were killed in several locations across the state. There was ballot box snatching, while voters in APC dominated areas were prevented from voting. In fact, there was no election in Cross River as voting was inconclusive in most polling units across the length and breadth of the state. But results were entered in Favour of the PDP. It was a calculated charade. The bottom line is that our candidates were excluded from the election as their names were not even on the ballot in the first place. “Based on the general atmosphere of exclusion of our candidates, intimidation, manipulation and hijacking of materials, we hereby reject the result declared by INEC and call for the cancellation of the elections in Cross River State in its entirety,” he said.